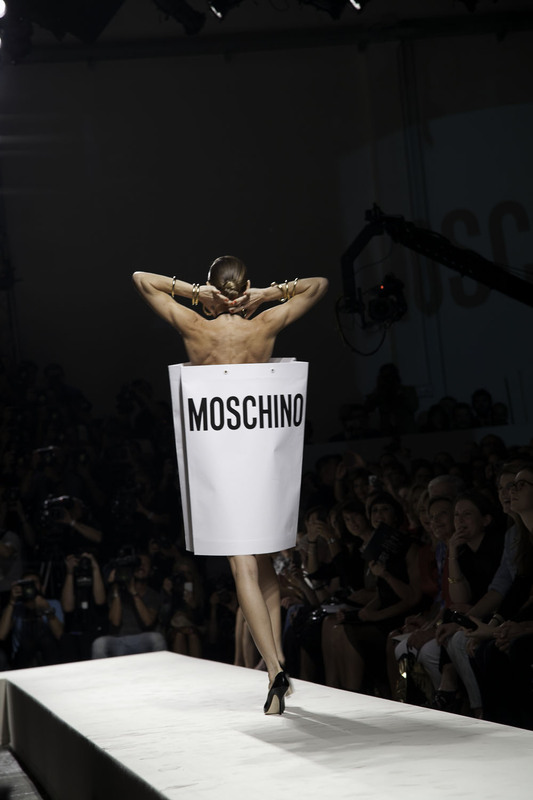 I am happy to give a come back from the death to my blog with this post of the 30th anniversary of Moschino. 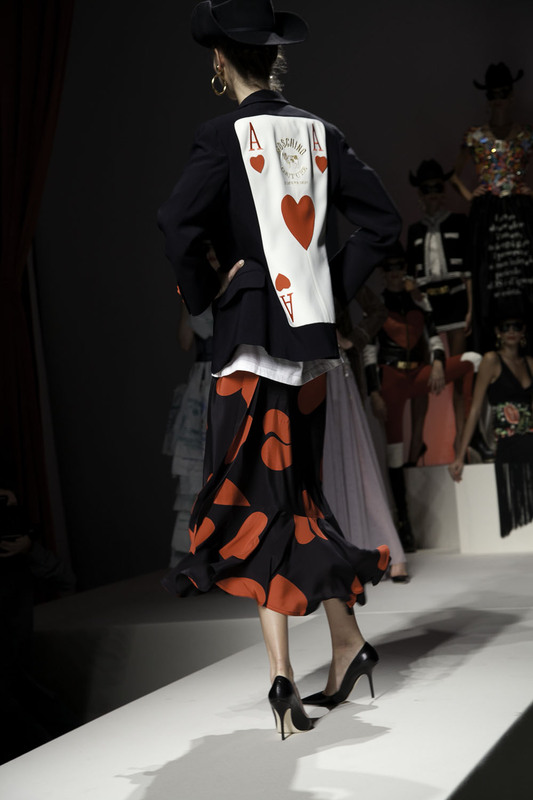 I have seen many shows but not yet Moschino but I got to see “the” show, what better than this special celebration. To the song of their special guest, Gloria Gaynor I am what I am the show began with the aim of putting a smile on our faces, reminding us not to take life too serious and yes, my favorite message of all Celebrate yourself with your uniqueness (Core values of the brand, hey would not suggest we wear a teddy bear hat other wise) . 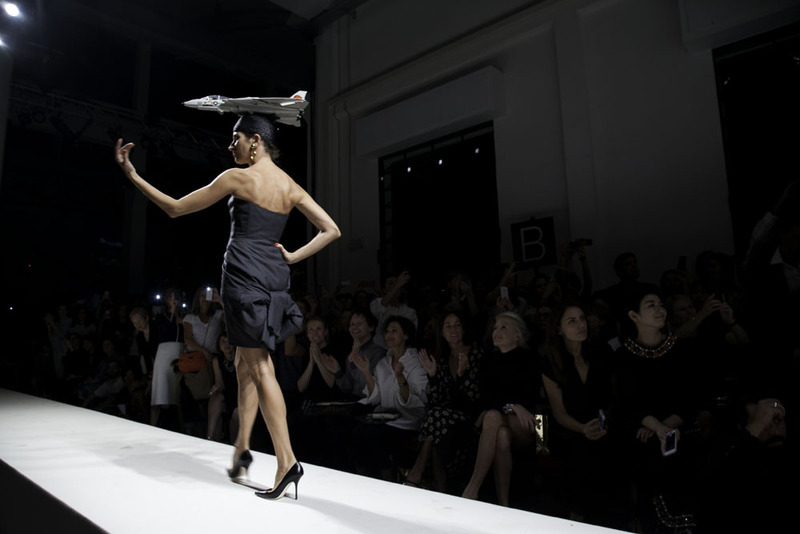 Taking some of the most iconic pieces of the last years and models like Erin O’Connor who has been the face of the brand for many years, Jodie Kid and many more. Again I arrived here with some luck and help of my dear friends and Mr. Destiny (always present :)) . I promise yo guys I will be writting more, yesterday my heart smiled again after a long while 🙂 and reminded of doing things because you just love them.